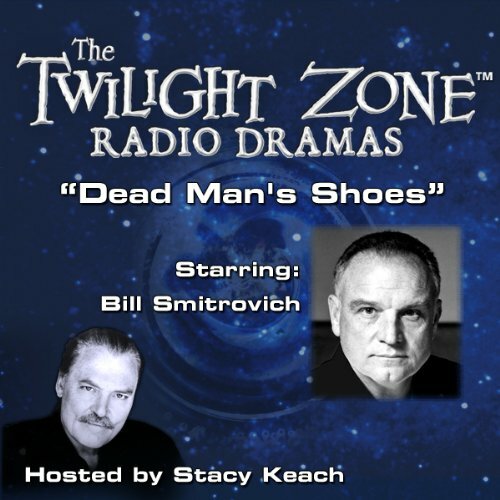 Experience one of television’s greatest science-fiction series: The Twilight Zone - fully dramatized for audio! Featuring a full cast, music and sound effects, and today’s biggest celebrities in modern radio dramatizations. In this episode, A vagrant steps into a murdered gangster's expensive shoes and is taken over by the dead man's spirit, who vows to seek revenge against his killer. Good story, good acting. Recommended. Simple story made really enjoyable by good voice acting. Sound effects and supporting cast also very good. An easy to recommend episode.